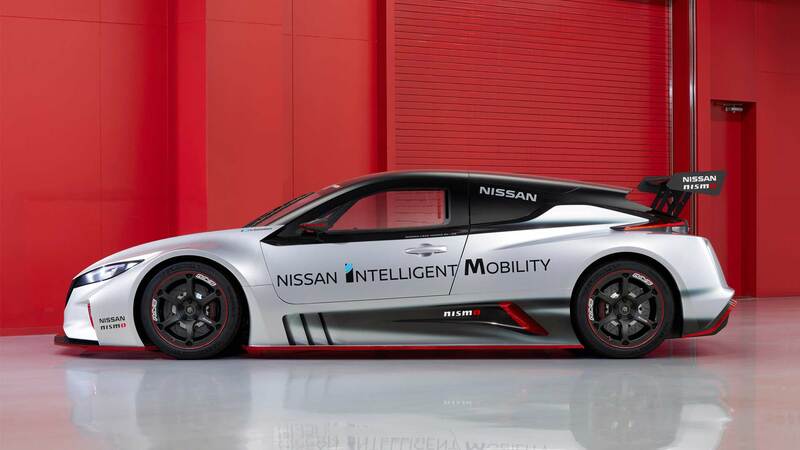 The civilian Nissan Leaf might be a bit boring for some people, but this race version manages to impress a lot ’em, if not everyone. 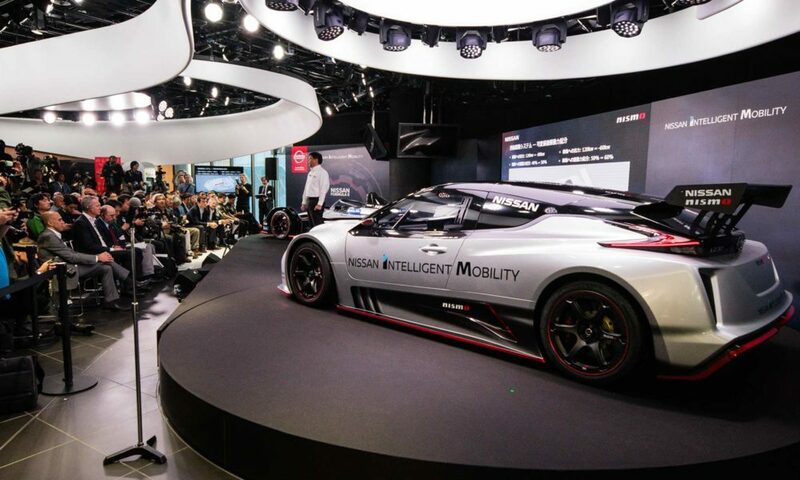 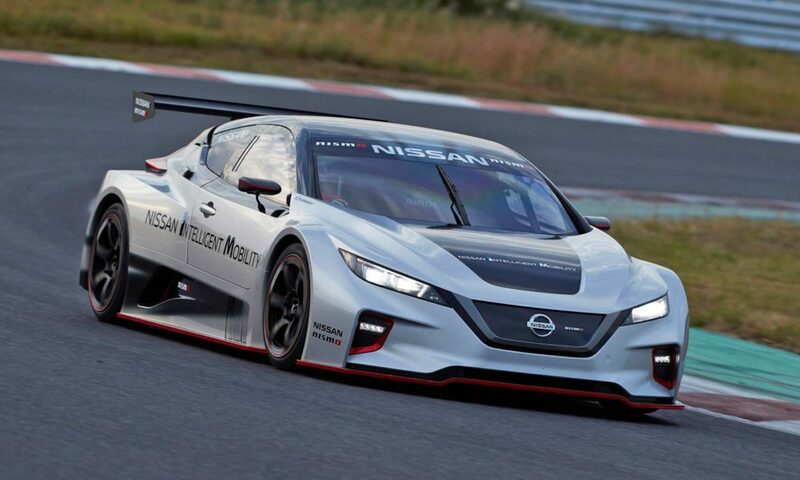 The new Leaf Nismo RC made its debut at the annual Nismo Festival at Fuji International Speedway, appearing alongside Nissan’s new Formula E electric race car. 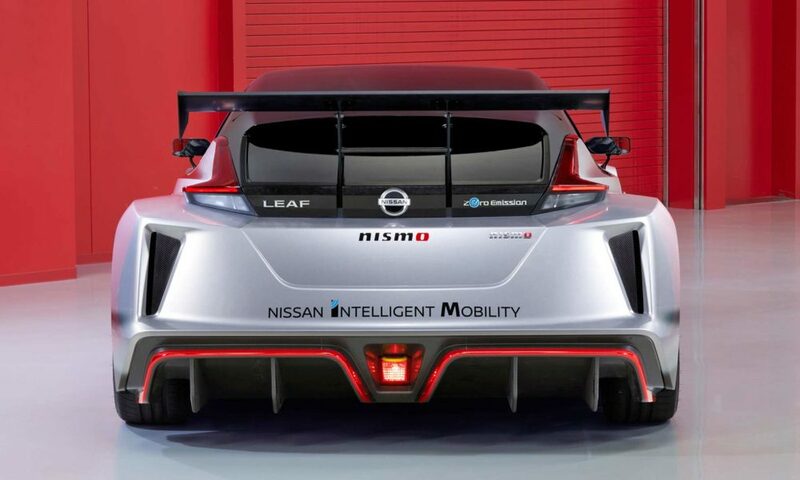 Although the electric cars weigh a lot due to its batteries, the new Leaf Nismo RC weighs just 1,220 kg, thanks to its carbon fibre monocoque structure. 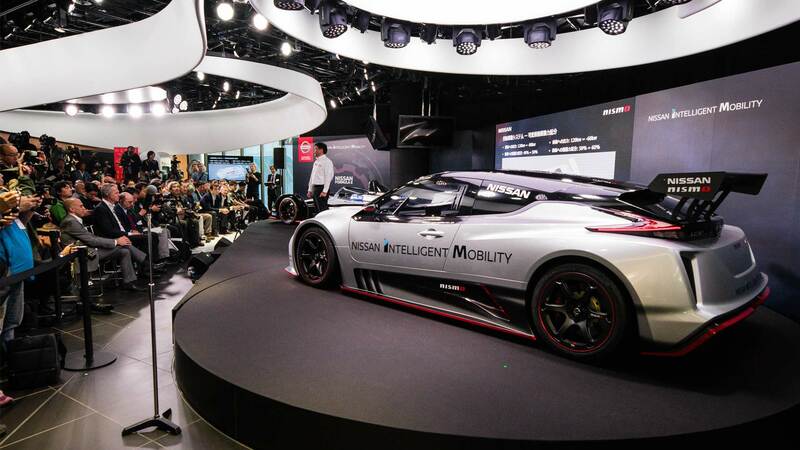 Two electric motors at opposite ends of the chassis, each with 120 kW output, powers the racer. 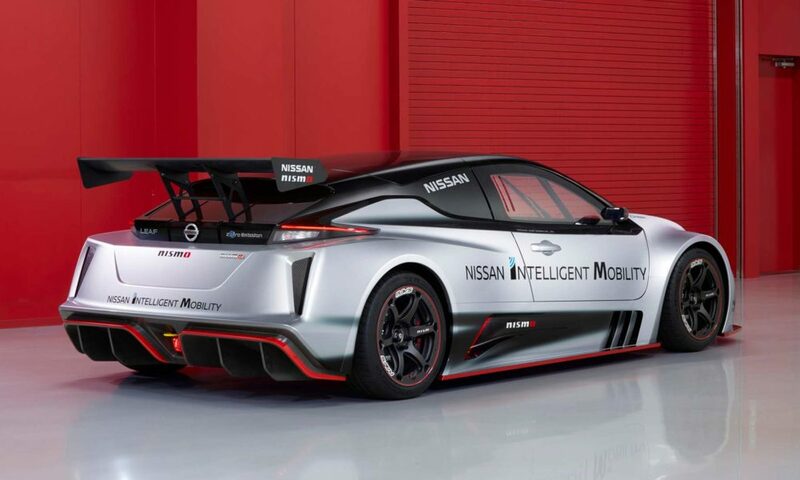 The combined 240 kW (322 bhp) and 640 Nm of instant torque is enough to propel the car from 0 to 100 km/h in 3.4 seconds – 50% quicker than the previous model of 2011. 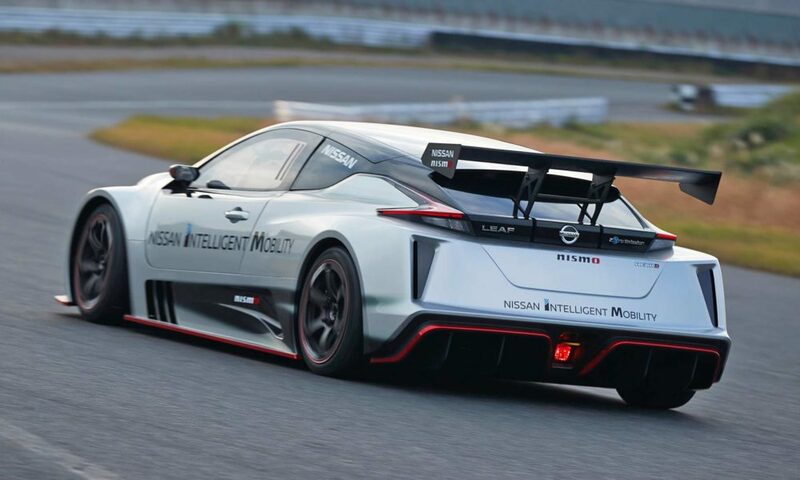 Similar to the previous model, the chassis weight balance has been optimized by the midship location of the battery pack, with the electric motors and inverters ideally placed over the front and rear tires. 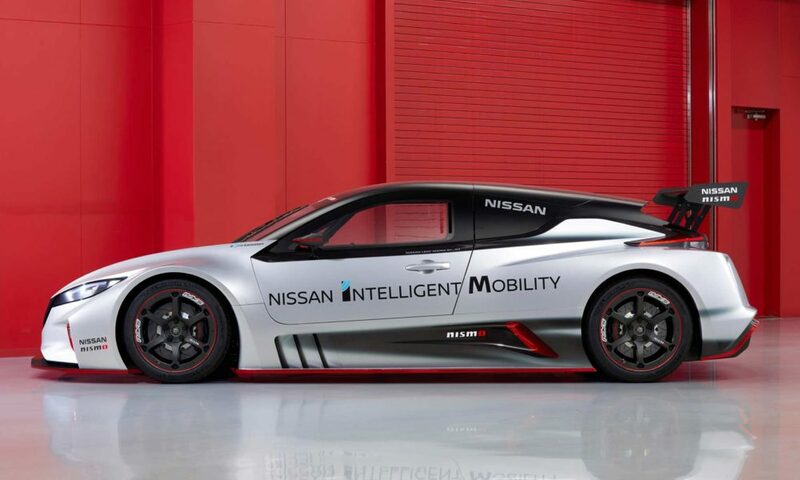 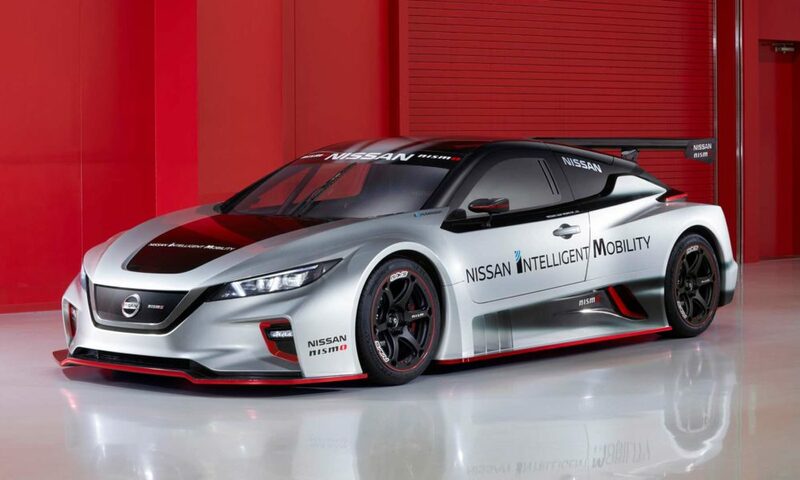 The distinctive silver-and-black paint scheme with Nismo red accents – similar to the Nissan Formula E car – make the Leaf Nismo RC seem like it’s in constant motion, even when sitting still. 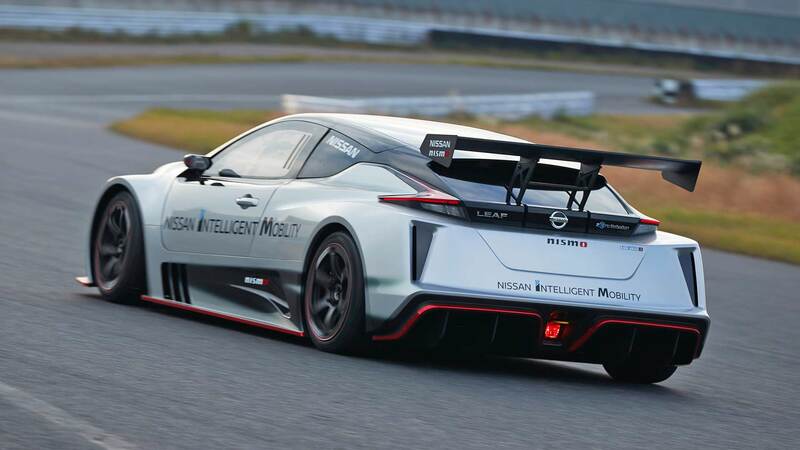 The car’s three-piece bodywork includes removable front and rear sections, fixed windows, LED headlights and tail lights, and an adjustable rear wing for ideal downforce on the tarmac. The model is slightly longer than its predecessor, with an overall length of 4,546 mm and a wheelbase that measures 2,750 mm. 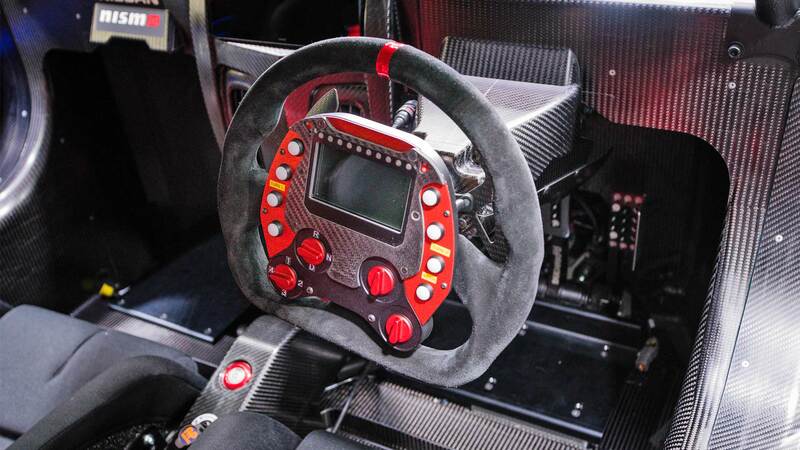 Lots of exposed carbon on the inside, typical of a track-only race car. 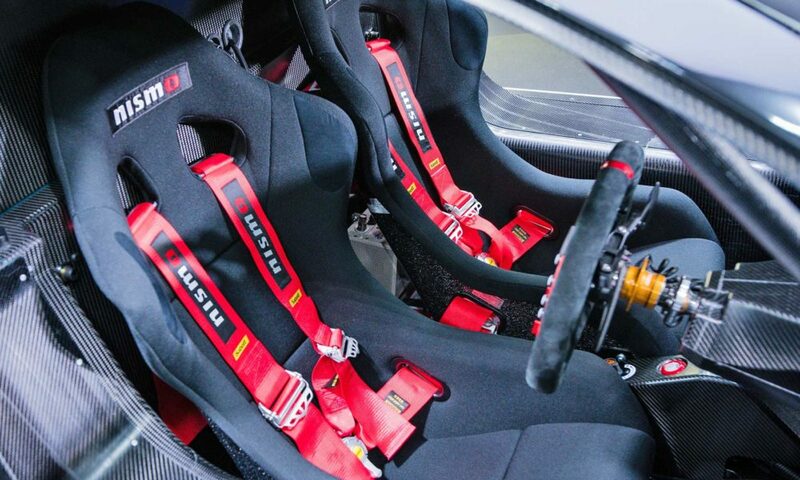 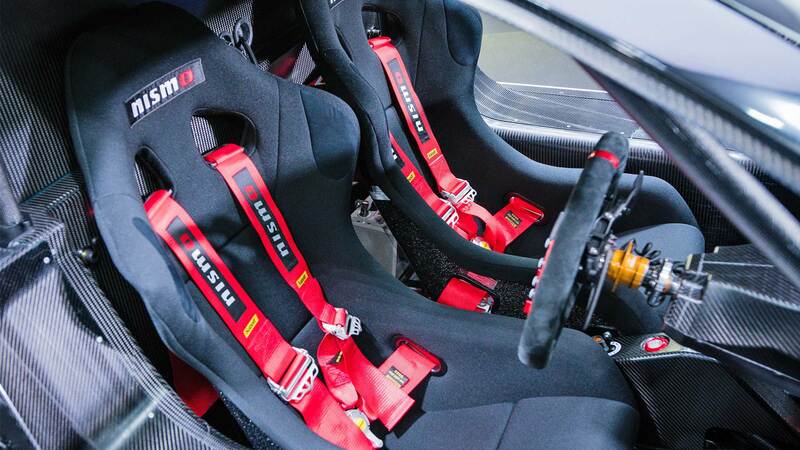 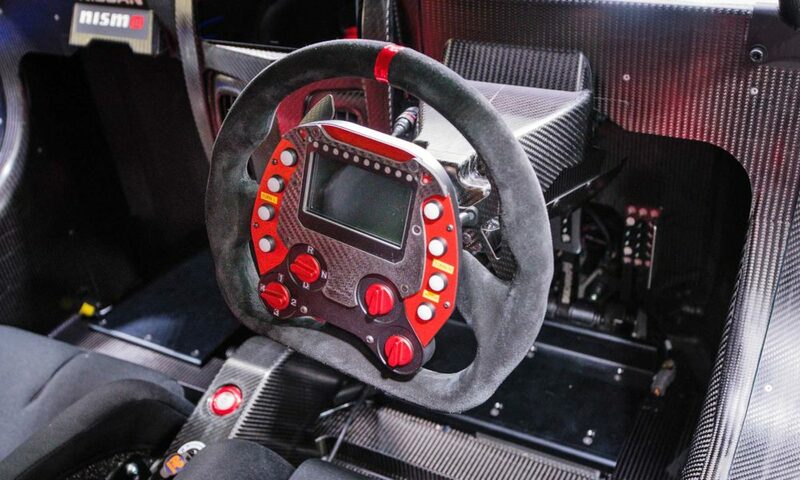 Also notice the Alcantara-clad steering wheel with 12 o’clock red stripe. 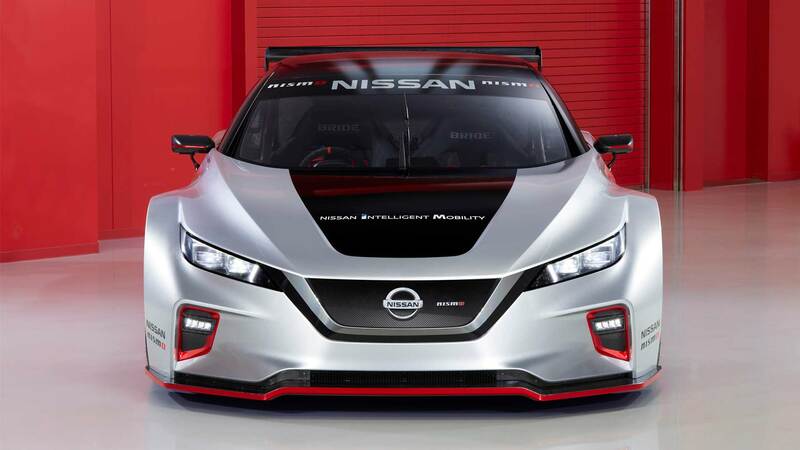 Nissan plans to build 6 units of the new Leaf Nismo RC. 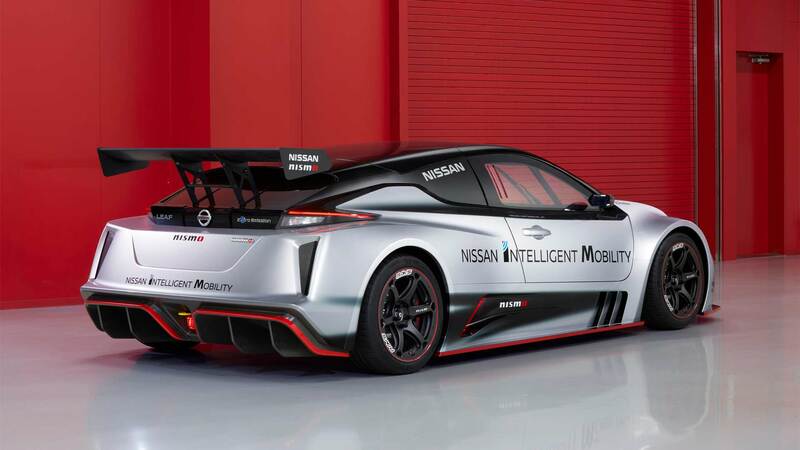 The car will be on display at Formula E races and major shows and events around the world. As boring as it may seem to be, Nissan has sold the Leaf in large quantities and claims it to be the world’s best selling electric car. 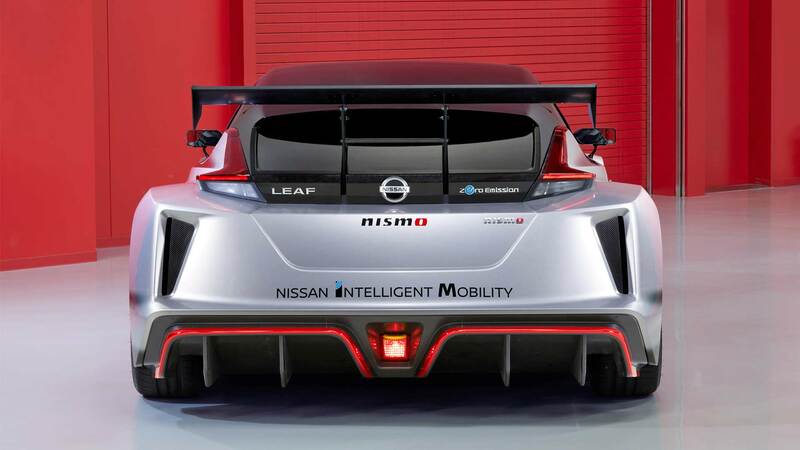 The Leaf is now in its second generation.